The cleaning agent of professionals for covered aircraft used to clean dirty surfaces like plastic and textile surfaces. 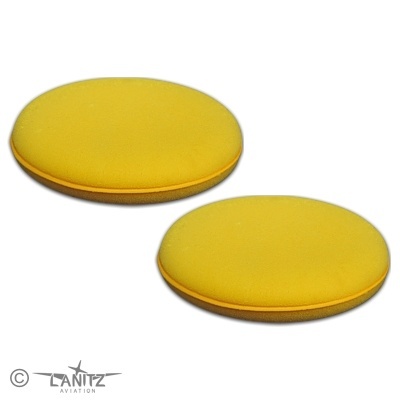 To protect against contamination and used for an easier cleaning as well as for maximum colour protection. 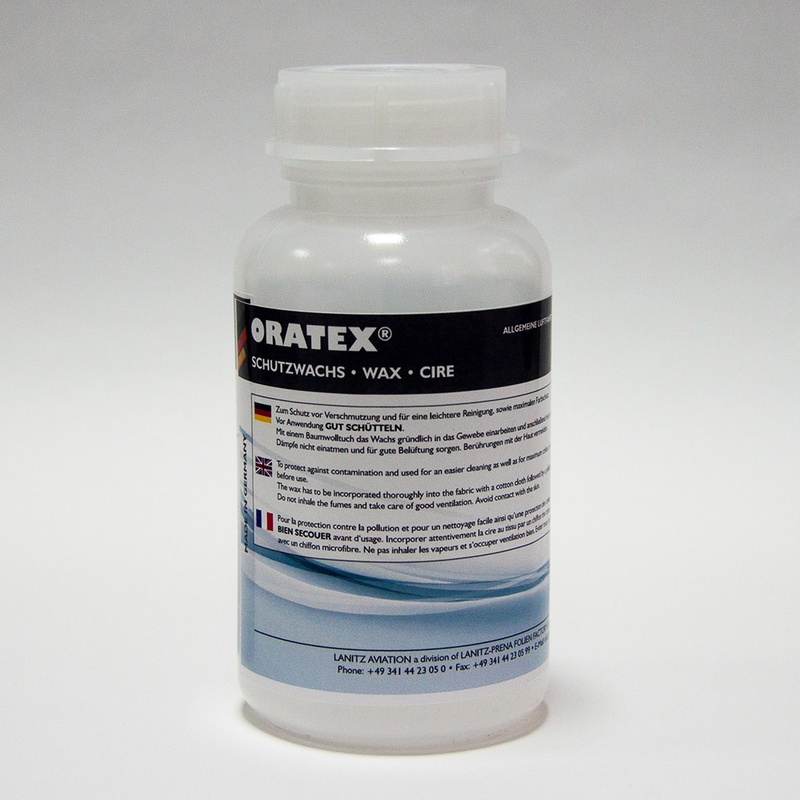 With the application pad for waxing, you can incorporate the ORATEX® wax perfectly into our fabric. The ORATEX fabric must be protected from iron marks and markings on the iron-on shoe when ironing. As an alternative to the silicon paper previously used for this purpose, this self-adhesive sliding coating offers greater comfort. 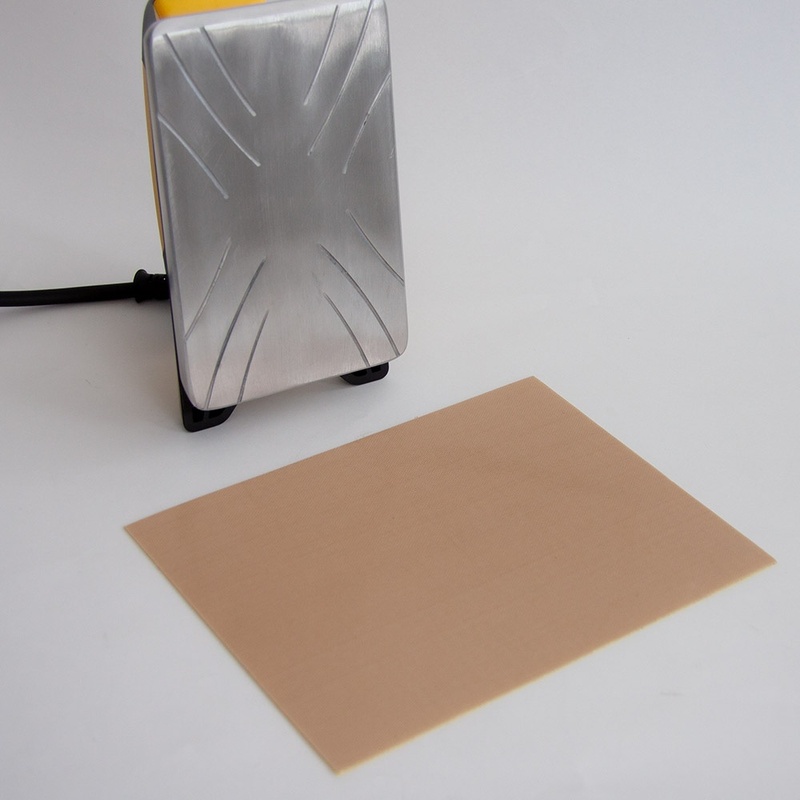 You simply stick the sliding coating on the iron shoe and can start ironing the fabric immediately. 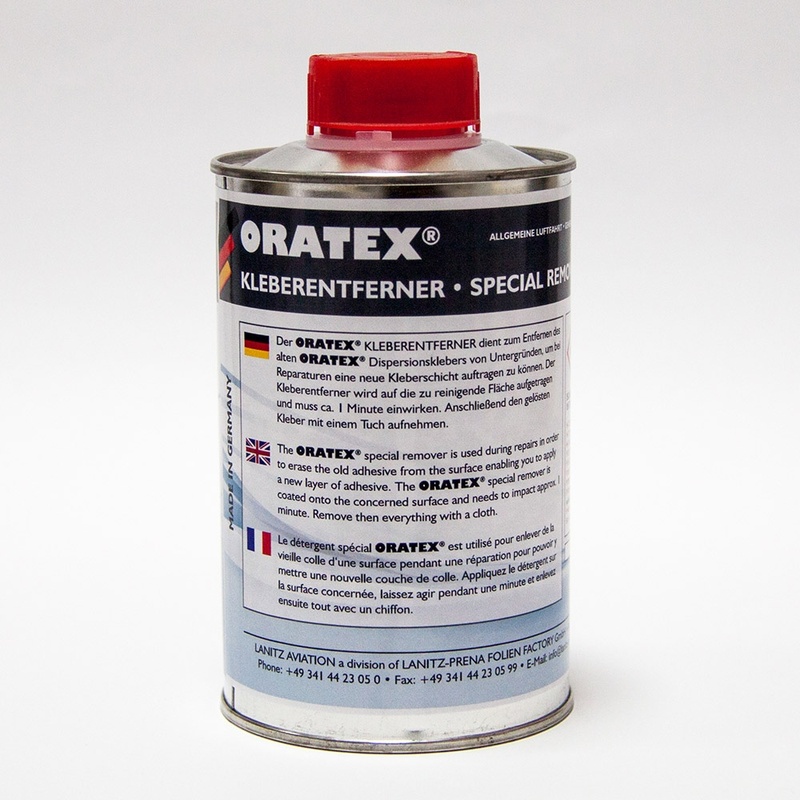 The ORATEX® Adhesive Remover serves to remove fresh ORATEX® Dispersion Hotmelt Adhesive remainders. Attention: The ORATEX® Adhesive Remover is very aggressive. 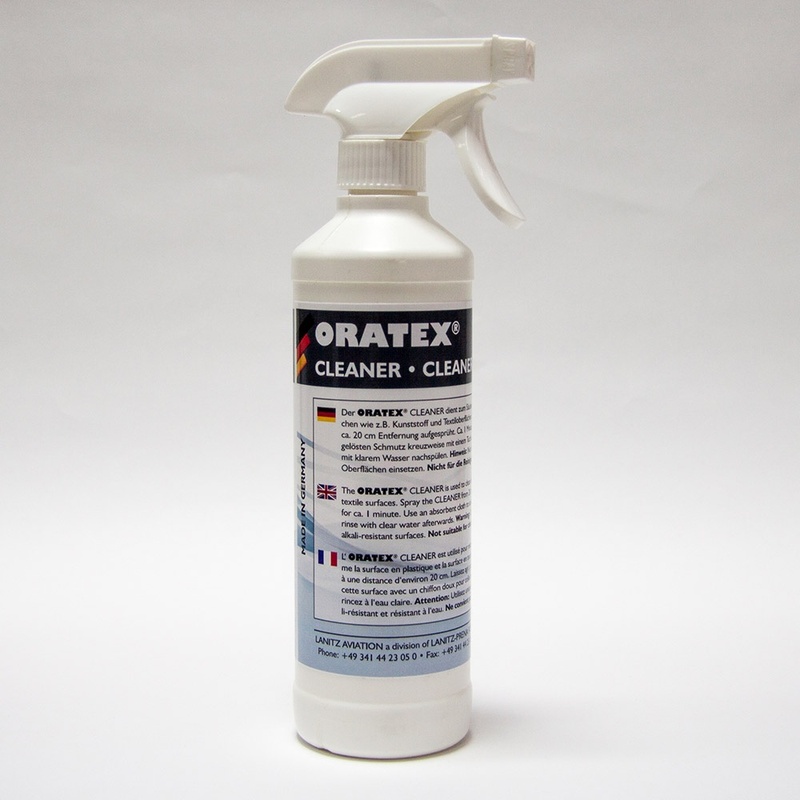 Repeated wiping can – due to the aggressiveness of the adhesive remover – damage the coated surface of ORATEX® and even remove the coatings. 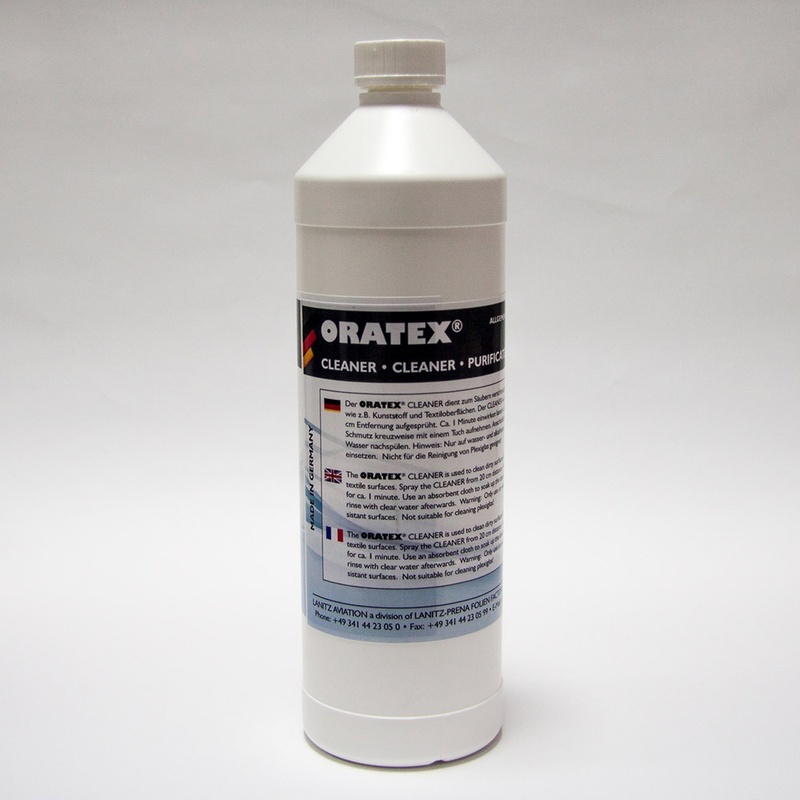 Extra care should be taken using the ORATEX® Adhesive Remover on painted surfaces. ALWAYS WEAR CHEMICAL GLOVES IN CONNECTION WITH SOLVENTS!!!!! 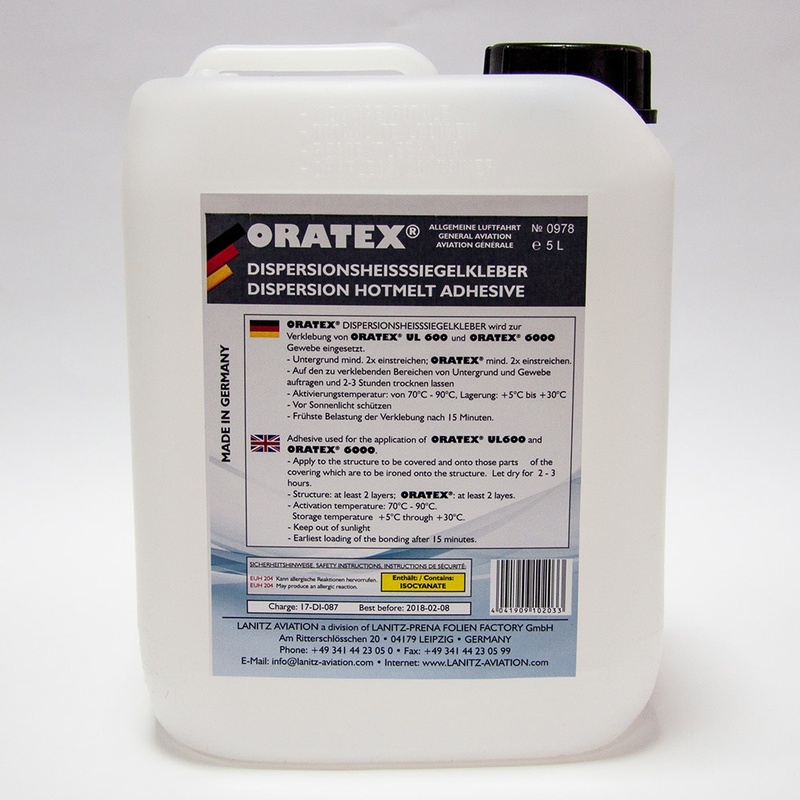 The ORATEX® DISPERSION HOTMELT ADHESIVE is a revolutionary product which is patented worldwide. It works without the unpleasant smell of solvents which one does know from conventional adhesives. 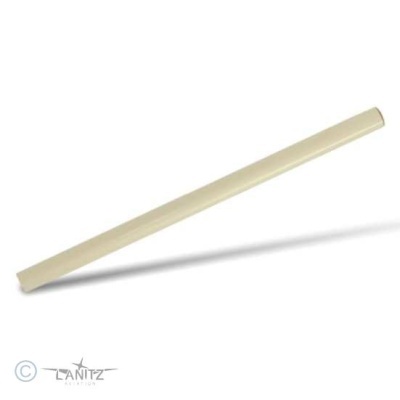 The ORATEX® DISPERSION HOTMELT ADHESIVE is applied to the structure to be covered and onto those parts of the covering which are to be ironed onto the structure.